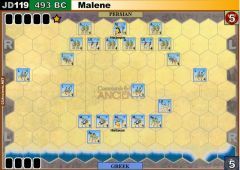 The Battle of Malene, the last major land action of the Ionian Revolt, was the result of an excursion engineered by the former Milesian tyrant Histiaeus to plunder the Anatolian mainland to feed Ionian refugees who had gathered at Lesbos. 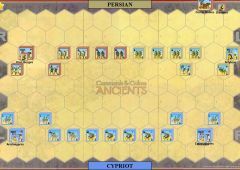 The invaders' ravaging of the countryside came to an abrupt halt when countered by a satrapal Persian army led by Harpagos. 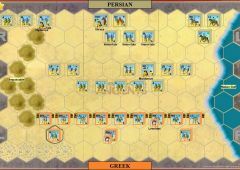 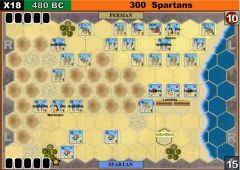 Although probably outnumbering the raiding Greeks, the Persian force had less shield infantry, which emboldened the Histiaeus to engage the Persians with his force consisting of hoplites and light troops composed of crews from his ships. 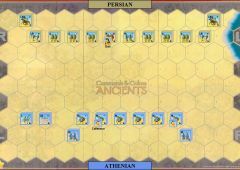 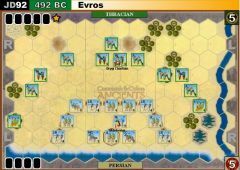 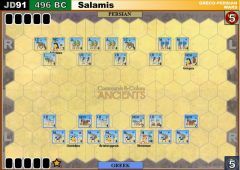 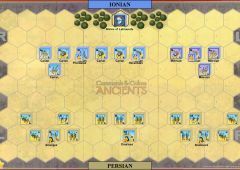 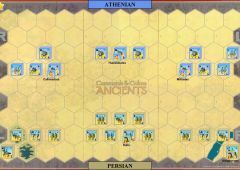 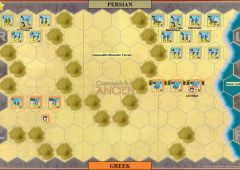 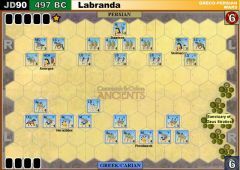 The Battle of Malene was the last in a series of engagements in the Ionian Revolt that seemed to prove to Darius that the Persian land forces were more than a match for their Greek counterparts. 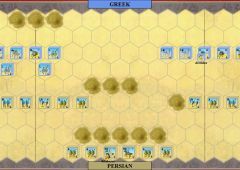 Unfortunately for the future of the empire, the European Greeks would prove to be a much tougher opponent in the years to come. 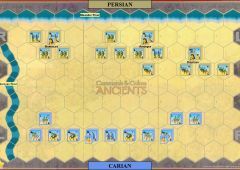 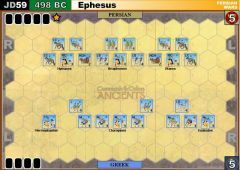 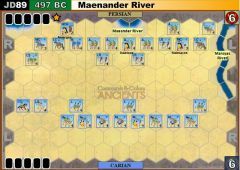 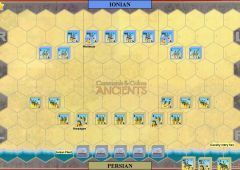 Any Greek unit that reaches a ship counts as a victory banner for the Ionians, and both the unit and vessel are removed from the game. 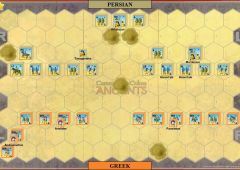 Histiaeus counts as as a victory banner by himself. 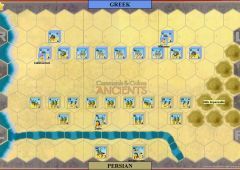 Greek ships may not otherwise move. 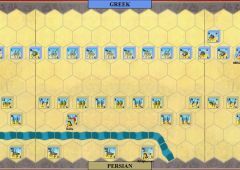 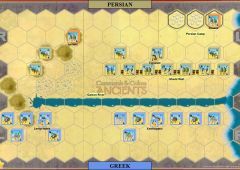 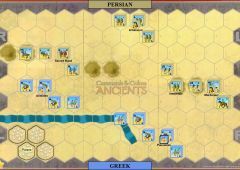 The coastal hexes are impassable, unless an Ionian unit is boarding a ship. 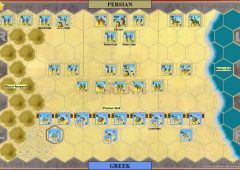 Persian units do not interact in any way with Greek ships. 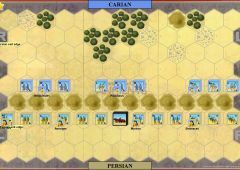 Units may be brought onto map beginning turn 3. 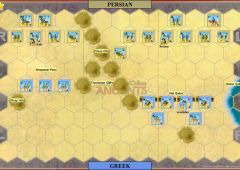 All cavalry units arrive first on entry hex, expending an MP to enter the map. 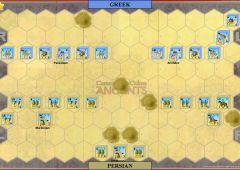 Reinforcement units activated by Order Mounted, Mounted Charge, Right Leadership, Inspired Right Leadership, Leadership Any Section, or Order Three/Four Right. 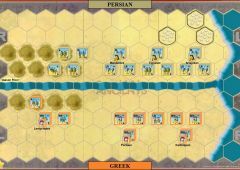 All reinforcements must enter on the same turn.